Make your adventure moments happen with Cebu Pacific Air! Grab the low fares with Cebu Pacific Air for as low as 11.11 PESOS in any select Philippine and international destinations. Amazing! So, plan ahead your adventures and book now! DISCLAIMER: PisoPromoFare is not a travel agency nor related to any airline company. If you wish to book the seat sale promo, kindly visit their official website for booking. magkano po kapag magpapa book ng ticket bukas December 29 po ang flight? 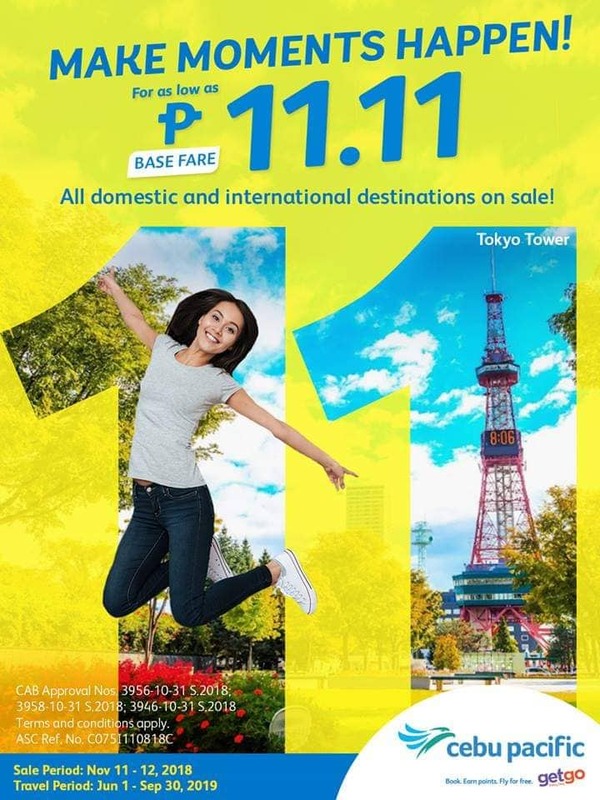 may i ask if what is the promo code for this 11.11 base fare promo? Hi may piso fare ba this january na flight?